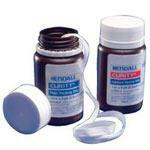 Medical gauze is a light material intended for post-surgical wound applications or deep wound healing. In this introduction, we will concentrate only on sterile gauze. 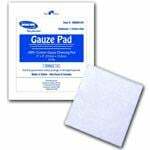 Many medical gauze applications are for direct wound placement and maintaining a sterile environment is paramount for healthy, uninhibited healing. 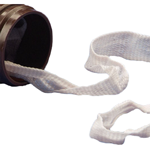 The gauze dressings can be medicated or impregnated with antiseptic or made for wound debridement -- specifically in cases where the wound is large and the incidence of necrotic tissue may be present. The two general categories of gauze are made from woven and non-woven materials. 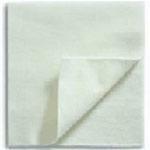 Woven Gauze: typically means that the gauze contains layers of woven cotton layered together into multiple ply sheets. 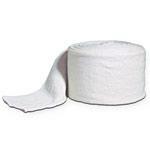 Non-Woven Gauze: Non-woven gauze is usually synthetic material made to look like a woven dressing yet maintain the same aeration ability. 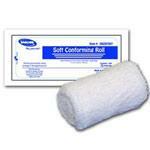 If you are a patient, a nurse or woundcare specialist will dress the wound with the appropriate gauze. It is good to first ask the specialist about the product and procedures before purchasing anything different. It is important to become familiar with the gauze type given, note the name of the product as well as the reference number. As mentioned previously, the gauze will be one of two types: non-woven or woven. With woven gauze, it is a straight cotton weave. This typically is the cheapest and most used gauze material. For primary dressing applications, woven is typically not recommended. 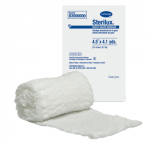 Sterile, woven gauze can be used for a secondary dressing with most woundcare applications, but as a primary dressing, for a heavy exudating wounds, it will be detrimental to the healing process. The wound can dry and cake around the dressing, making removal both painful and damaging as it can pull up the granulating wound tissue. 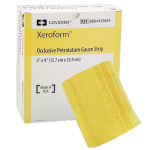 Petrolatum: Xeroform Petrolatum Gauze Dressing - Maintains a wet healing wound environment. Saline Dressing: Curity Saline Dressing - Good for heavy exudate as the saline heightens rate of moisture wicking. Hydrogel Gauze: DermaGauze Hydrogel Impregnated Gauze Dressing - Maintains a moist environment and nurtures damaged vessels or burn areas. Make sure that the appropriate size of gauze is used so as to adequately cover the wound. The wound may be something that one can cut to fit, but if maintaining a sterile environment is concerned, you will want to be certain to see if this is an option. For deep wounds or wounds that are prone to infection, you may want to consult your physician. Usually, these types of wounds require the utmost attention to maintaining a sterile zone. Doing this means that using sterile gloves, applicator swabs, and of course dressings are the norm. Keep in mind that touching non-sterile items will contaminate gloves, so watch what you touch, so that you don't cross-contaminate. The wound must first be clean and dry. Lay or insert the gauze into the wound bed gently. If packing the wound, do not do it tightly -- a loose pack will allow the wound to breath. Depending on the amount of exudate, you will change the gauze frequently, typically every day, or multiple times a day if it is a new wound. 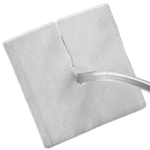 Gauze is a medical fabric, specifically with a loose open weave, used in wound care. In fact, gauze is effective for dressing wounds, especially when other fabrics or materials will not stick, and is commonly made of cotton. Bandaging material often affects how quickly or slowly a wound will heal. 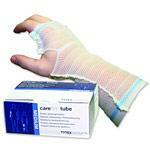 Using the appropriate gauze and type of bandage is the best method to help and encourage healing. 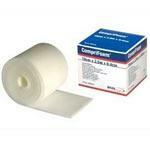 Packing a wound, in addition to choosing a proper bandaging material, is also vital to promote proper wound care. Individuals with protracted wounds should increase their awareness to wound care management. 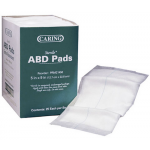 Offering a variety of gauzes, such as gauze pads, gauze rolls, gauze sponges, gauze dressing, and more, you can rest assured we have the specific gauze for your needs. When you select and apply the appropriate type of gauze to your wounds, you will prevent and avoid pain, infection, and potential damage. 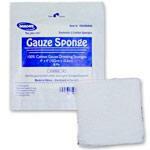 Peruse our categories of gauze today and improve the quality of your wound care management.